The new things, once found, are immediately placed in glass. Carefully captured in jars or frames depending on their nature and size. 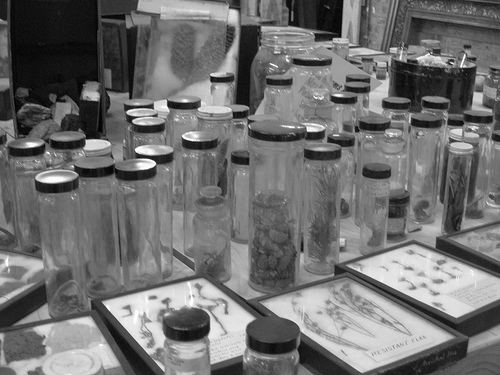 Then they are catalogued and organized for preservation. Before they have a chance to grow wild. With time they will harden and dry and become extremely delicate. So delicate they must remain contained. To free them after glass is all they’ve ever known would be disaster. They would agree, if they could understand.